RSVP for the Emotionally Healthy Relationships Course here. Cityilfe Presbyterian Church intentionally strives to live out Jesus’ life-giving commandments in community together. Our church is presently focused on growing in spiritual health, and our sermon series and Community Group studies revolve around the cultivation of Habits of Grace where we actively love God with our whole selves in every aspect of our lives. As we grow in our active love for God, we will naturally begin to engage all those around us with loving hearts and actions. But loving others well is incredibly difficult. Many of us have never been taught how to love others well. That’s why Citylife is excited to offer the Emotionally Healthy Relationships Course this spring. Please join us as we strive to grow in our discipleship to Jesus and learn to love others as God has loved us. Why? The Emotionally Healthy Relationship Course will provide you with a solid foundation for discipleship that deeply changes peoples’ lives, helping you to learn to live in the new family of Jesus. Who? All adults are welcome! Married Couples: The skills taught in the EH Relationships Course will powerfully strengthen your marital relationship as you grow in your ability to communicate, resolve conflict, and both give and receive love well. Parents: The EH Relationships Course will provide parents with tools that you can model and teach to your children so that they may grow to be people who love God and others with genuine grace. Singles: The EH Relationships Course will help to strengthen your relationships with your families of origin, with your friends and professional cohorts, and your significant others. Everyone is invited to attend this discipleship course! RSVP required. Please sign up here. When? The course begins on Sunday, March 18th from 9:00 am to 10:20 am. We will meet for 8 straight weeks, excluding Easter Sunday, April 1st, concluding on Sunday, May 13th. What can you expect from the course? 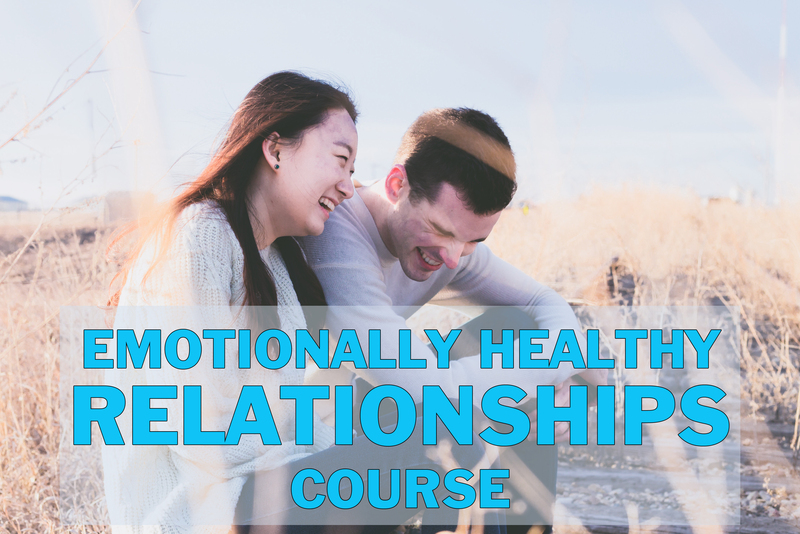 The Emotionally Healthy Relationships Course is a rich and challenging spiritual endeavor that will equip you with powerful skills to love others well. Such a valuable endeavor will require an investment of your time and relational energy. Every attendee will be assigned to a small group discussion table and will remain with that group for the duration of the 8 weeks. This will enable you to grow in your connection and openness as you learn and practice the relational skills together. To ensure that these relationships are honored, we ask that those who attend RSVP and commit to coming to as many of the 8 sessions as possible. (If you think you will miss more than 3 sessions, that may be a good sign that the course will be too demanding for your schedule.) If you believe that you are unable to make this commitment, then we humbly ask that you refrain from signing up so that the groups will not be hindered. Contact: If you have any questions about this course, please email Isaac Bruning, Citylife’s Marriage and Family Ministry Coordinator at isaac@citylifeboston.org.